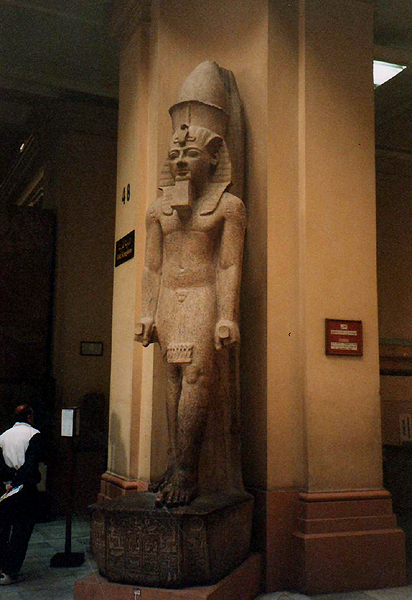 A colossal statue flanks the entranceway to the main hall of the Egyptian Museum in Cairo. On its base is the cartouche of Merneptah, the thirteenth son of Ramesses II. Ramesses outlived his first twelve sons, so it was his oldest living son, Merneptah, who became pharaoh upon Ramesses' death in 1212 BC.